The biggest difference between a desktop computer and a mobile device is screen size. To convert a website to mobile you need to change how the website looks on small screen sizes. You want to trim some content, by showing to your mobile users only the most important parts of the website. You also want to make your images smaller in order to increase the speed of your website (since a lot of mobile phones do not always have a fast internet connection). 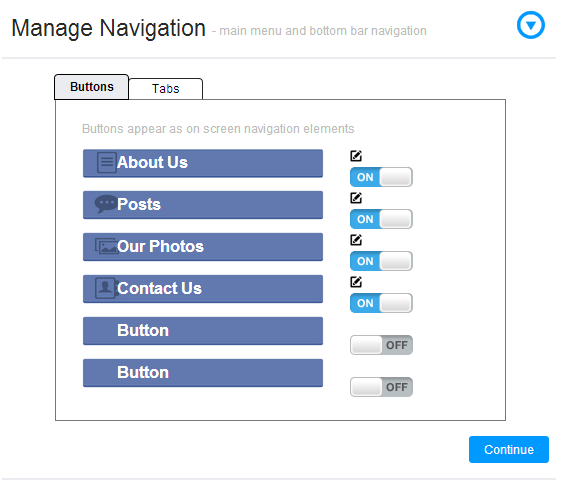 Start with a responsive layout design. Use modification of your existing site to support different screen sizes, smaller images and display fewer content. The website will “change” its look depending on the size of the screen that it’s currently viewed on. 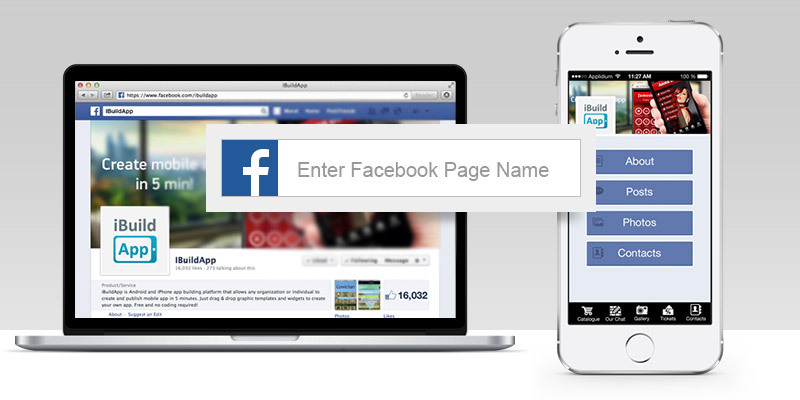 Create a separate website specifically for mobile users. This is an entirely separate website and users are redirected to it if they are using a mobile device. What’s the purpose of this new feature? Businesses with website can now reuse their existing website content without any design or programming work. You can use this page as a quick standalone app, connecting with people through their mobile phones and giving them a chance to understand what your business is all about. This would work particularly well for companies who use website to share deals. You can market the app as a way for people to get exclusive deals, and they can access it on their computers or phones. Another way to use the website into app converter feature is by linking it to your current business mobile app. Let’s say you have a band, and your website is linked to your current app. Is your website mobile optimized or has responsive design? Most websites still very often a bit clunky in terms of being mobile friendly and responsive design, so this gives you a chance to create a sleek, user-friendly mobile version of your website. To get started Converting Website to Android and iOS Mobile App go here. 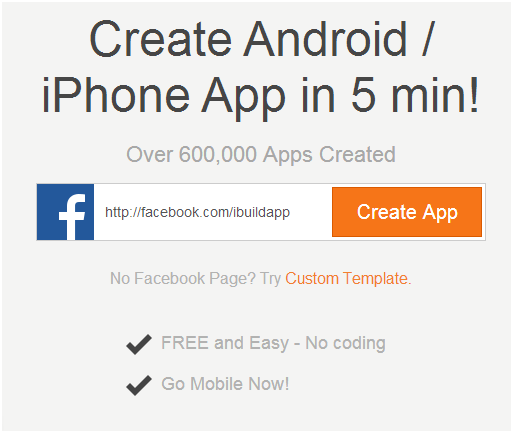 Once you did Convert Your website Into a Mobile App for iOS and Android you have all the options that come along with creating a mobile app from scratch on iBuildApp. 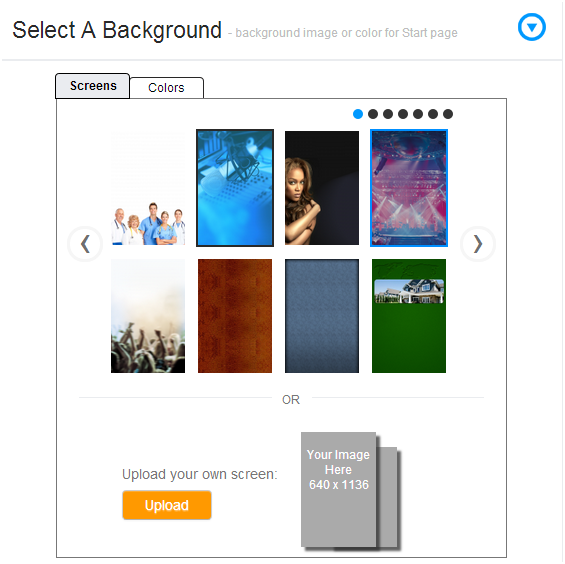 You can select a background to make it look more branded, manage the navigation to remove items you don’t use on your Facebook page and edit your logo for further branding capabilities. After that, feel free to add a splash screen or manage your content if you want to change some widgets or add different items. It’s important to note that we’re not talking about responsive web design here. Responsive web design is an approach wherein your website is coded and designed to “respond” by rearranging and re-sizing itself depending on the type of device on which it’s being viewed. Responsive design makes your website look and operate better (think “user-friendly”) on mobile devices. A mobile app on the other hand, is a software application that you download from either Google Play (Android devices) or the App Store (iOS devices). Apps are fully functioning entities that exist separately from, but can be integrated with, your website. So, why create a mobile app if your website is already responsive? An app is “native” to the device on which it’s designed to run so it loads and operates faster than a responsive website on the same device. Additionally, an app doesn’t need an Internet connection to work, which means your mobile app can always be opened and used. This is handy when a customer is not connected and wants a critical piece of business info like your phone number. Let us know in the comments section if you did Convert Website to Android, iOS Mobile App yet. Let us know if you have any questions about the whole process, and share your thoughts on how else this cool new feature might help your company. can you describe it step by step?